Hair loss can be caused by various factors in life. It can be caused by medications, stress, nutritional intake or a variety of reasons. If you are experiencing hair loss & protein treatments are not working to correct the problem, you may want to see your physician to get a health check up. A doctor may need to check to see if you are getting a sufficient amount of nutritional vitamins that are needed for you to have a healthy body, hair, skin, and nails. If the body experiences extremely high levels of stress or lack of the adequate amount of nutrition it will trigger survival mode. This means the body will save nutrients for vital organs (heart, lungs, liver, etc.) instead of, using it for the hair, nail, & skin. This leaves the hair malnourished and began to cause extreme hair breakage. The hair follicles can die because of this lack of nutrition causing hair loss. Check your eating habits and recheck it again, because you may be lacking just a few vitamins. Sometimes the lack of proper vitamins don't show up until later. According to the World Health Organization, as much as 80 percent of the world’s population may have an iron deficiency. Lack of iron effects a lot of women, especially in child bearing age. It is called iron deficiency Anemia. Research shows that "If you do not have enough iron, your body makes fewer and smaller red blood cells . Then your body has less hemoglobin, and you cannot get enough oxygen." As we all know oxygen is important to life. Iron is an important factor in producing hemoglobin. It is a protein that helps red blood cells carry oxygen to the body's tissue. Without an adequate oxygen supply, you can become fatigued and it can lead to anemia. This can cause your vital organs, hair, nails, and skin to suffer. At first, symptoms can go unnoticed because its only a mild deficiency in iron levels, but it is important to see a doctor before it becomes worst. Livestrong state: "Along with hair loss, iron deficiency anemia may occur with symptoms such as pale skin, fatigue, headaches, irritability, cold hands and feet, brittle nails, a poor appetite and weakness." Try to eat foods high in iron or if your doctor suggest an iron pill, follow the directions carefully. Here are a few foods that are high in iron. Sometime people take iron & don't have enough vitamin C to absorb the iron. 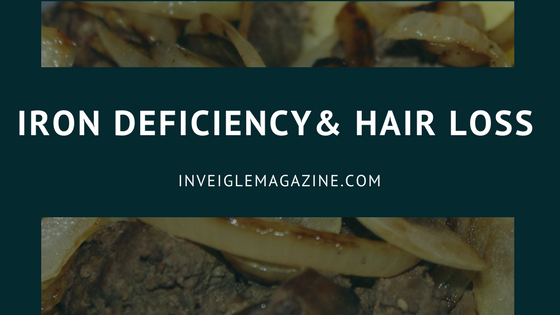 So if you are experiencing hair loss; & the oils & protein don't work, you may need to see a doctor to see if there is any vitamin deficiencies or illnesses that need to be taken care of. Keep your body properly nourished, so it want have to go into survival mode. Be safe with your body & hair ! !